Sen. Fred Risser has drafted a bill that would ban the cruel and immoral wildlife killing contests, not only on national forest lands, but across the entire state. Hunting contests are events held by local hunting groups and taverns that charge an entry fee. Participants then kill as many animals as they can in an attempt to win cash prizes. 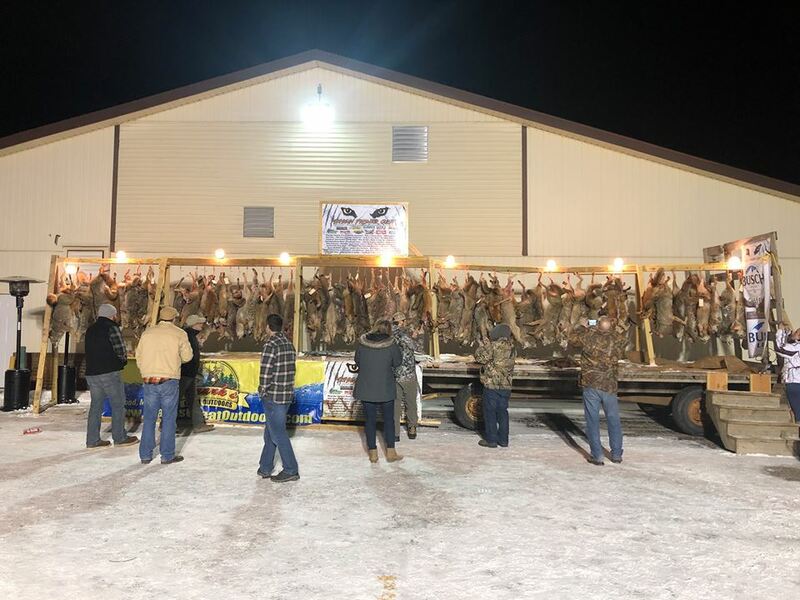 Contests engage the use of dogs to hunt down coyotes, fox, raccoons and wolves, and often crows, bobcats, and any other animal the blood lust hunters consider “predators.”The practice is not only barbaric and gruesome, it disrupts the balance of nature. Coyotes and foxes have no season and can be shot anytime. Both control the spread of Lyme’s by preying on white-footed mice. Despite blood lust sport hunters’ claim that they are controlling predators, loss of these animals often leads to an increase in their prey and infestations of those unwanted rodents. 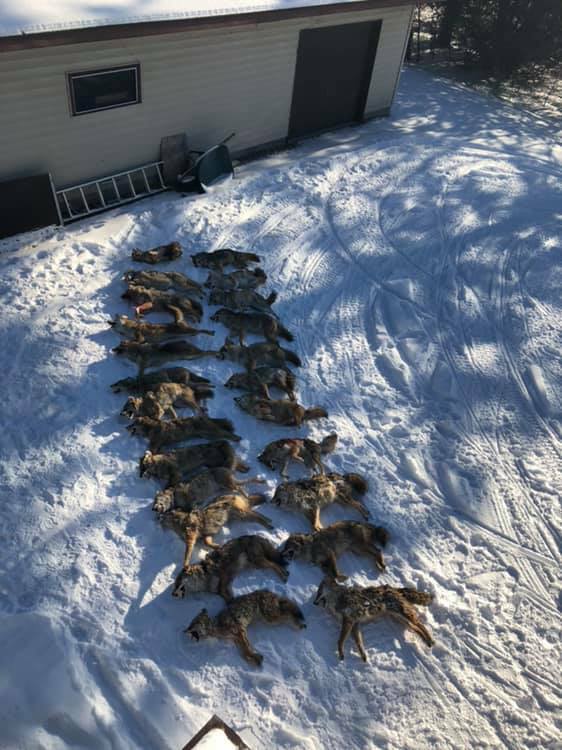 The kill from 2nd Annual Coyote Hunt, 01/27/19 Loomis, Wisconsin.